Luk Fong-fei observes a man fighting with Chung Ching (who is played by Sek Kin, returning as a third character in this series! ), the man escapes and finds a cave only to be caged by a trap inside. Chung Ching follows and finds him trapped, but the man brags about finding a kung fu manual and refuses to hand it over, so Chung Ching knifes him in the chest and just takes it (it’s actually hilarious he does that instead of some martial fight stuff!) 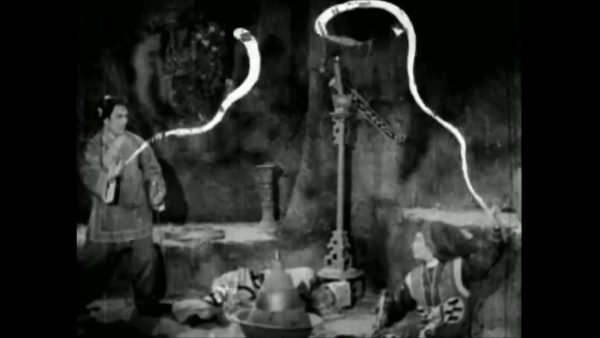 It’s bad because Chung Ching looks at the manual and realizes it is useless, but before he can leave the cave he is also caught in another cage trap. D’oh! 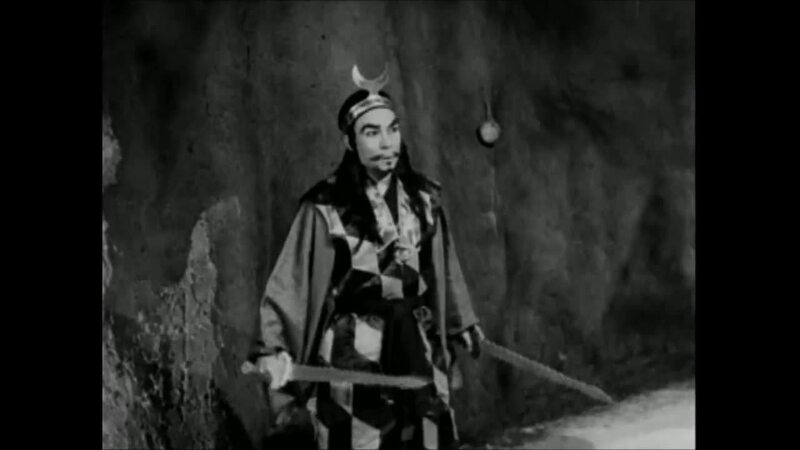 Chung Ching isn’t about to be held captive forever, and uses his swords to cut himself loose. His swords look amazingly like the White-Boned Swords! Hmmmm…..
Luk Fong-fei, Wong Tin-ho, and Wu Sheung-fung and Vampire Lady find the dying man, so they split up to find the man who stabbed him. Vampire Lady runs into Sai Kwa Pau (I’m not sure if he’s playing the same character that he was in the prior films or if he is also on character #3!) and shows off her now dozen-strong vampire squad. She even lets Sai play around with her signal flag and command them a bit, but he accidentally just commands the vampires choke him! Forget the hopping vampire choking fantasy, because an AWESOME GORILLA WITH A COOL FACE is hopping and making noise trying to get help for a sick kid who has no idea what the Awesome Gorilla thing is. Also there is an actual monkey in the background in this scene because why not? Everyone knows that you need one monkey and one ape for real kung fu power. It’s a law. Yeah, yeah, this Awesome Gorilla is just a guy in a suit, but what a suit! I love it when random gorillas pop up in these old movies. 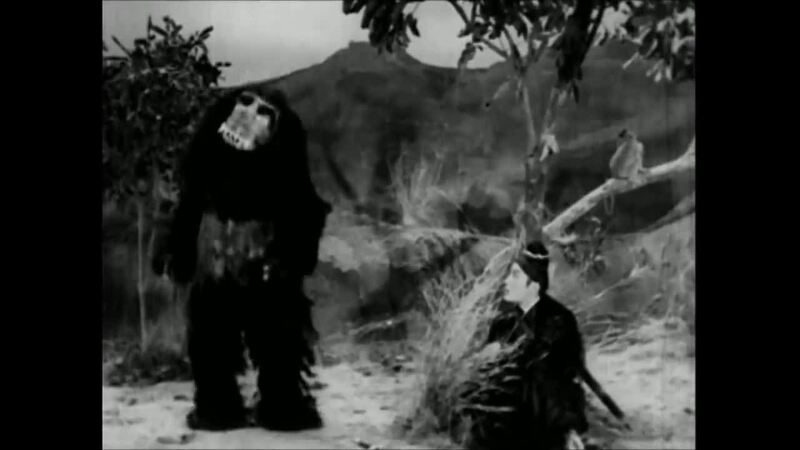 Of course Awesome Gorilla works for Old Devilish Eccentric, the laughing vagabond who then shows up, laughing, to help out the kid. The injured kid is Kam Yan-kit, who is important enough we need to keep track of him through this film and next. His father was the man who was stabbed by Chung Ching earlier, named Kam Tin-fung. Just a typical Tuesday afternoon! 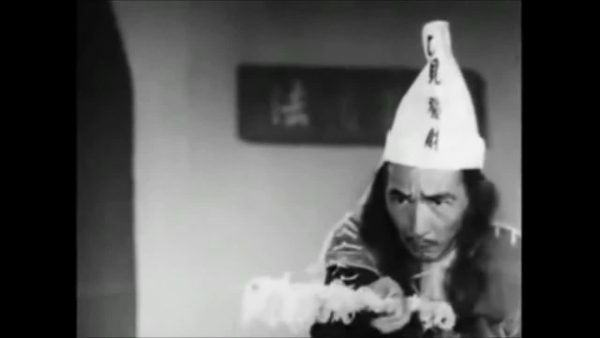 Old Devilish Eccentric fixes Kam Yan-kit up and decides to teach him some kung fu. Namely, the swordplay of Eighteen Swords Fights of Hell! You all know that one. The heroes are off having various adventures. 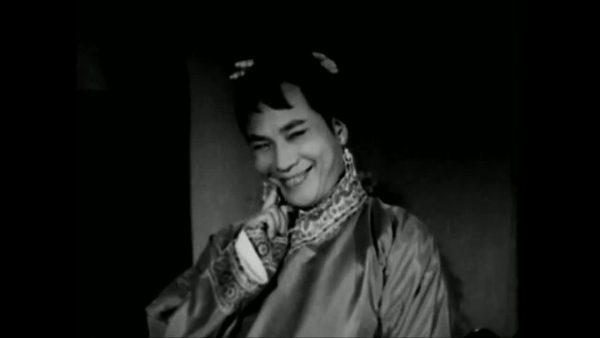 Wong Tin-ho dresses as a pregnant woman to trick a pair of martial arts masters who are kidnapping pregnant ladies, he kills one of them and fights the other with an animated hand powers battle (the villain’s mantis shape against his circles and sword!) Having been defeated by Wong, the evil lady runs off. Sai Kwa Pau is harassed by a singing beggar in town, but saved by Chung Ching, which earns Sai’s gratitude, even though it was obvious Chung Ching was just annoyed at the beggar and doesn’t really care about Sai. Kam Yan-kit then comes to town to demo his sword work for money, also he has the little monkey from earlier so I guess it is now his monkey? Chung Ching can’t resist harassing him, his scoren for beggars showing through again. 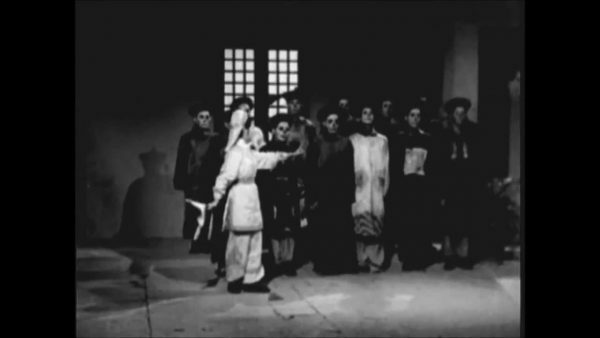 They end up swordfighting, Chung Ching wins but doesn’t kill him, recognizing the raw talent. 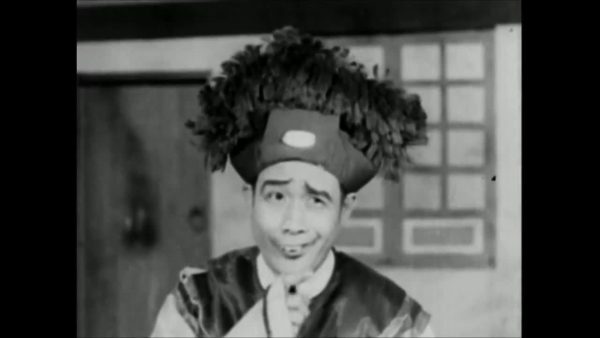 He finds out who Kam Yan-kit is and who his father is, and that makes it easy to blame Wong Tin-ho, Wu Sheung-fung, and Luk Fong-fei as the murderers of his father, Kam Tin-fung. Which is weird because he hasn’t interacted with those three yet, unless you count the other two characters Sek Kin played! 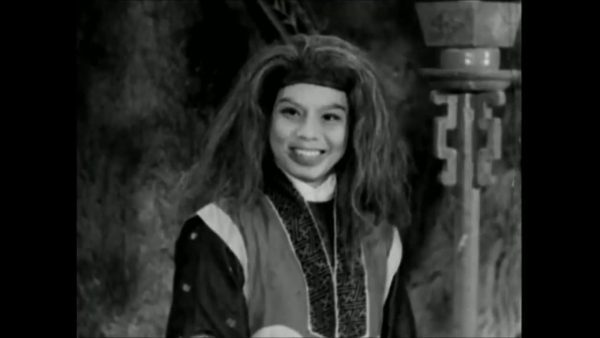 There is a whole sequence with Sai Kwa Pau sneaking into rooms at the inn while trying not to look at the lady occupants but without subtitles. I’m not really sure what is going on except he might be trying to find either Kam Yan-kit or Chung Ching. Everyone gets angry and Chung Ching and Kam Yan-kit have to beat up all the occupants. So “Yay!” for hotel guest harassment??? Wu Sheung-fung and Luk Fong-fei happen by during the chaos and Chung Ching sics Kam Yan-kit on Luk Fong-fei while he attacks Wu. The fights are nice and long with the choreographed fight dance style common in these films, but is one of the better ones I’ve seen. 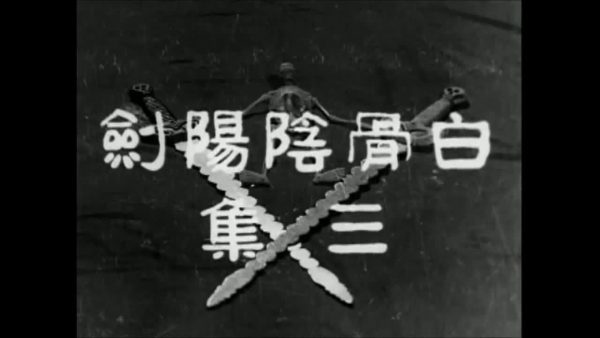 These two entries in particular have a lot of long, nice fight sequences that look like they were give more time to develop and prepare for than the average Cantonese swordsplay film of the same era. Wong arrives in the middle of the action and helps fight Chung Ching, maybe he needed to go to the bathroom or something. The tide is turned in favor of the heroes when Vampire Lady shows up with all her vampires to harass Chung and Kam Yan-kit until they teleport away. 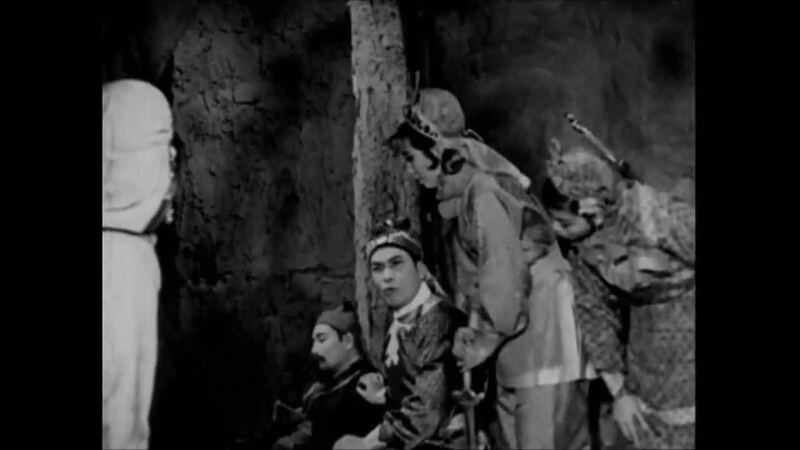 Chung Ching talks with a group of evil allies on how best to take down the hero group. According to the plot synopsis, they are his senior masters: Heaven, Earth and Man. The White-Boned Swords Chung Ching is using are fakes, and the best way to beat the heroes is to lure them in to capture the face swords and beat them. Which they do, leaving the swords out in the open in a house and then shooting Wong in the face with poison when the heroes arrive. The villains all laugh and laugh and laugh, while Wong is going to die soon. They villains even let the heroes escape because they are too busy congratulating themselves on a job well done. They forgot that this is only movie 3 of 4, so we can’t have any heroes die this quickly! Yes, there is a cure for Wong’s poison, but like all cures in wuxia films it requires a long, dangerous journey to get the only copy of a rare magical plant that will cure everything. The cure is not only coincidentally called the White-bone Grass (!?! 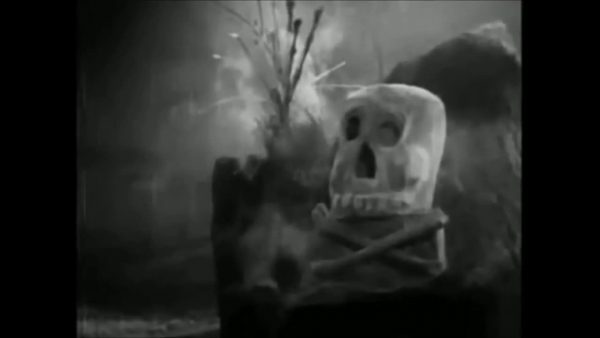 ), but the only plant grows in a land where there are skeletons lying around and the fog machine is on overdrive! 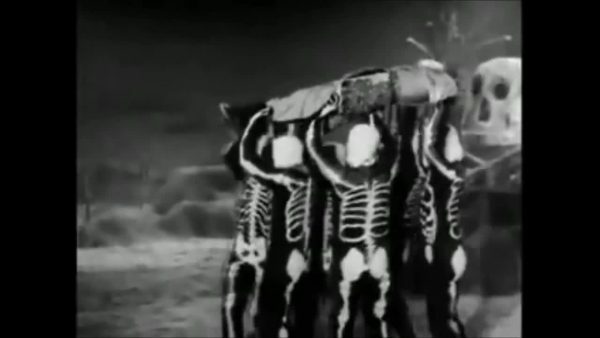 But Wu Sheung-fung is determined to save Wong no matter how many skeleton decorations the film company rented out from a prop company. She is confronted by a gang of children with painted faces, but she easily defeats them and shoves them aside, probably because they are just children. Did this turn into Mad Max: Beyond Thunderdome all of a sudden?? Next up is a gigantic skull that signals where the White-boned Grass grows – the plant gets it name because it not only looks like it is made of bones, but there are skull details on all the bones. 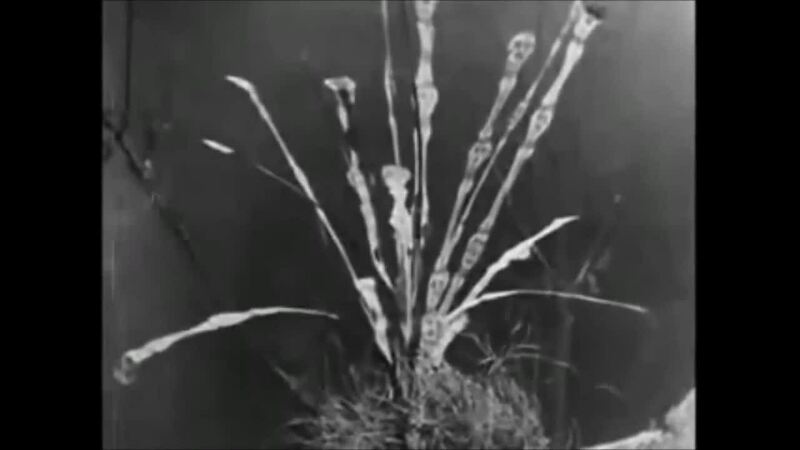 It is a very bony plant! 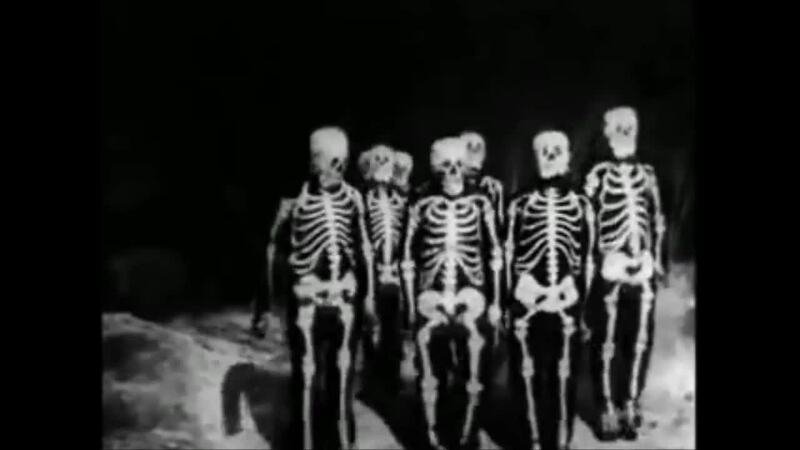 Just when she is about to pick a leave suddenly a bunch of people in skeleton costumes hop up! Either they are supposed to be real skeletons or the bully gang from Karate Kid is here and brought their Halloween costumes, whatever the case it is time for another action scene! They fight for a while, but despite her better martial skills she can’t fight a dozen skeleton men forever without being overwhelmed, but Luk Fong-fei and the Vampire Lady arrive just then with a dozen hopping vampires in tow! 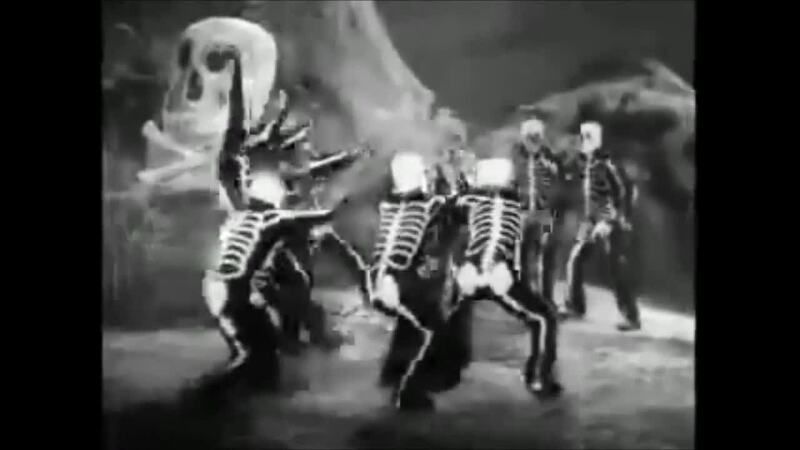 It’s an undead battle royale! It’s amazing, it’s the kind of things you want to see in awesome films, and it’s TO BE CONTINUED!! !